The DCEU news has been flying all over the place over the last few days. A Joker origin movie is in the works with Martin Scorsese producing, The Batman is a standalone movie, there has been confusion about Ben Affleck's involvement in that movie and oh so much more. Now we bring you an update on the often discussed Justice League Dark Movie movie, which has just hit another pretty major bump in the road. It looks like Warner Bros. is taking the project back to square one following a round of underwhelming presentations from directors. Variety reporter Justin Kroll took to Twitter to provide a brief but telling update on Justice League Dark, which was confirmed to be part of the DCEU upcoming slate during San Diego Comic-Con. According to him, Warner Bros. recently met with several directors who pitched their visions for the movie, and it didn't go well. As a result, they have decided to revisit the script and give it a rewrite, which is reportedly being done by Doctor Stranger writer Jon Spaihts, according to That Hashtag Show. Here's what Justin Kroll had to say about the situation. 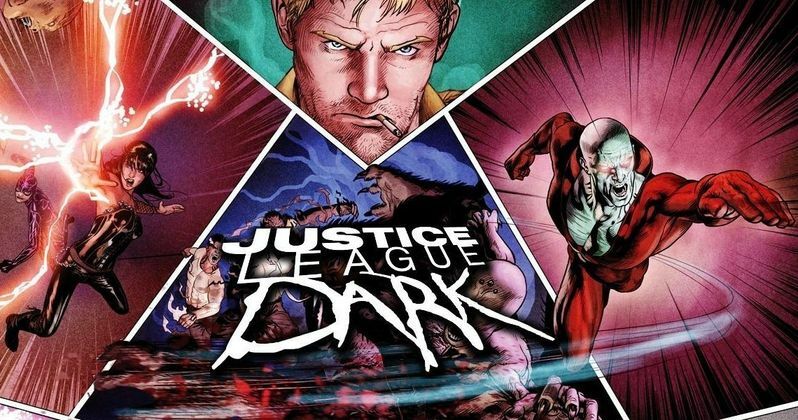 "Justice League Dark update: Studio Back to work on script after recent presentations by directors underwhelmed execs"
Back in May, it was revealed that director Doug Liman (Edge of Tomorrow) was parting ways with Justice League Dark. Liman was also going to direct the Gambit movie at one point, so he really is having a hard time actually making a comic book movie at this point. Prior to that, Guillermo Del Toro (Pacific Rim) had been developing the project for Warner Bros. before the DCEU was even really a thing, but he eventually parted ways with it in order to move on to other projects like Pacific Rim 2, which he ultimately didn't wind up directing either. So this project has already been through several iterations and now it looks like Warner Bros. is going to have to take it back to the drawing board yet again. Justice League Dark first appeared in the world of DC Comics in 2011. So, as far as comics go, this is a pretty new thing. The series primarily features supernatural characters like John Constantine, Deadman, Swamp Thing and Zatanna. The team takes on missions that the usual Justice League isn't fit to tackle, with much of the storytelling revolving around the supernatural and the occult. An animated movie based on Justice League Dark was released recently and was received quite well by both fans and critics. As for Jon Spaihts, he did a draft on Doctor Strange before C. Robert Cargill took over. He also worked on Passengers and Prometheus, which are at best divisive movies. He also did some work on The Mummy, which was something of a disaster and is currently working on the Van Helsing reboot. So his resume is a bit mixed at this point. Let's just hope he brings his A-game for Justice League Dark, which doesn't currently have a release date. So at least he won't be rushing to meet a productions schedule.